Imagine you are walking down a public street and a police officer approaches you and expresses a desire to ‘ask a few questions.’ This is a scenario that plays itself out throughout the country. Police officers stop people on the street and conduct face to face questioning. They question people during car stops for traffic offenses. They may conduct questioning while making visits to a home or office. Sometimes, they may ask individuals to come down to the station or they may contact people over the phone. The first pressing question is whether a policeman can stop you on the street and question you even if there is no reason to suspect any wrongdoing. The answer is ‘Yes’. Even without a reasonable suspicion, law enforcement can approach people for questioning and even ask to search objects in your possession. However, a line is drawn if the officer suggests you MUST talk to them or allow them to search your person or possessions. This is impermissible under the Supreme Court’s ruling in US v. Dayton. The rule of thumb is that a person is not generally required to answer inquiries from law enforcement or submit to a search. In a Texas criminal case, the State of Texas represented by the District Attorney’s office, possesses the highest burden of proof under the law. A San Antonio criminal defense attorney will explain during jury selection all of the burdens of proof separately. The first basic element is reasonable suspicion, which is the element needed for the police to stop and detain a person. The attorney will enlighten the jury by explaining how little it takes for a police officer to legally effectuate a stop. The next level of proof is “probable cause”, which is more than reasonable suspicion. Probable cause is all that is necessary for a criminal defendant to be arrested, booked, set on bond, and stand for trial. In its most basic form, probable cause essentially means that police are required to arrest someone if that person could be guilty of committing a criminal offense. 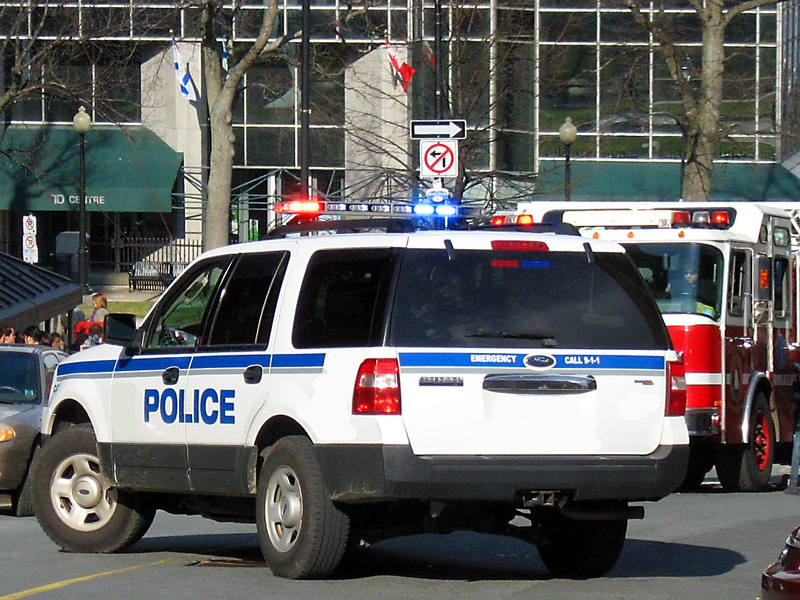 The law encourages a police officer to err on the side of safety. When the arrested person does not contest the charges, then the court resolves the case usually through a plea agreement. However, when an arrested person disagrees with the charges, then the first time he is entitled to have a group of independent citizens review the case is when a jury is chosen. In Texas, the judge does not prescreen a case, so the only people who have reviewed the case are law enforcement and the district attorney. In our last blog entry, we discussed basic temperature issues with the Intoxilyzer 5000. The machine possesses a so-called electronic “eye” that searches for alcohol molecules in the breath sample. The data is sent to a microprocessor which then extrapolates the amount of alcohol content based on two hundred ten (210) liters of air. Remember that the basic formula is an alcohol concentration of 0.080 in 100 milliliters of blood which is supposed to correlate to 210 liters of breath – i.e. a BrAC formula of 0.080 g / 210L . Of course, the machine is nowhere near 210 liters and in fact the sampling chamber inside of the machine only fits 81 milliliters of air – less than the size of soda can. The microprocessor contains a computer program, but the technical supervisor knows nothing about the actual program. CMI, the manufacturer of the Intoxilyzer 5000, hold the program as a trade secret. When CMI delivers the Intoxylizer to the technical supervisor, the computer program is already on the machine and technical supervisor cannot access the program. Nor is the program ever updated such as we typically expect for GPS or other programs that get internet updates. Once the technical supervisor takes possession of the machine, there is an assumption that the mathematical program used to calculate the breath alcohol concentration is accurate. A San Antonio DWI lawyer would point out to a jury that he cannot employ an independent computer expert to verify the accuracy of the program – that is a distinct advantage for the State and one that should make jurors wonder. If the manufacturer is the only entity that knows anything about the computer code and there can be inherent problems with computers, jurors will wonder. The next key issue is a scientific principle known as retrograde extrapolation. According to Texas DUI law , the DA has to prove the driver was intoxicated at the time of driving. Yet the test on the breath machine reflects a breath alcohol concentration at the time of the breath test, not at the time of driving. Adding up all the time for the actual stop, conducting the field sobriety tests , the arrest, hauling away the driver’s vehicle, transport time to the precinct, reading of Miranda warnings, and the fifteen (15) minute observation period, more often than not at least an hour has passed from the time of driving until administration of the breath test. The passage of time then begs the question as to what was the breath alcohol concentration at the time of driving. In our last blog entry, we discussed how an Intoxilyzer 5000 has to detect a minute amount of alcohol in a breath sample without error. A Floresville criminal defense attorney must highlight the weaknesses in the machine’s accuracy. Specifically, the test results from the machine are + / – 0.010. A test sample can be off by 0.010 under the Texas Administrative Code . We discussed that the test sample should be 0.080 but in reality, the sample can range between 0.070 and 0.090 and still be considered reliable. The strongest cases are where the breath sample is between 0.080 and 0.089. If the accuracy rating is + / – 0.10, then the breath sample can be off by 0.010 . Thus, a breath sample was 0.087, then theoretically, the true result could very well be 0.077. Theoretically , the State can argue that the accuracy variation of + / – 0.010 means a breath result of 0.088 could be 0.098. However, that type of variation is further evidence that this machine does not possess the precision it claims. In our last blog entry, we began our discussion of the scientific formulas behind a DWI breath test on the Intoxilyzer 5000 . The machine’s objective is to measure the amount of alcohol in the driver’s breath. It is critical for a New Braunfels criminal defense attorney to highlight the weaknesses. The underlying weakness of the machine is that it supposed to calculate whether there are 0.080 grams of higher of alcohol per 210 liters of breath. Yet the machine does not examine or even hold 210 liters of air. An oil drum containing over 50 gallons holds 210 liters of air. A person’s lung holds about 6 liters of air. In reality the Intoxylizer 5000 only holds eighty (80) or so MILLILITERS of air, the equivalent of a soda can. A gram of alcohol is comparable to an Equal packet. In reality, the Intoxilyzer is attempting to measure eight (8) one-thousandth of that size. If the formula is 0.080g/210L and the Intoxilyzer can only hold eighty (80) milliliters, then that is the equivalent of .00003 grams of alcohol to be proportionate to 210 liters. In our recent blog entries, we discussed DWI defense techniques against Field Sobriety tests . Today, we will focus our discussion of Jourdanton DWI criminal defense by examining the Intoxylizer 5000 and a defense against a breath test over the legal limit. A San Antonio DWI lawyer will have the TX Breath Alcohol Testing Program Operator Manual at his disposal as he prepares to defend against a breath test result from the Intoxilyzer 5000. Many ever-changing factors influence the machine (and the results it spews out), and these conditions will lay the foundation for challenging the accuracy of the breath test. The Intoxilyzer 5000 simply has too many flaws to be used to prove results beyond a reasonable doubt. Much like a computer or vehicle, the machine is prone to malfunctions and inaccurate, unreliable results due to maintenance, operator error, lack of proper calibration, and simple glitches. Jurors can very well sympathize with the reliability issues associated with the machine especially if they have encountered problems with a computer or car. In our last blog entry, we discussed weaknesses a San Antonio DWI lawyer could utilize when defending against the Walk and Turn . Today, we will discuss the final Field Sobriety test – the one-leg stand (OLS). During this test, the driver stands with his feet together and arms at his sides. The police officer relays the instructions which involve lifting one leg six (6) inches off the ground while counting out loud. Under NHTSA regulations , the officer must time the event for thirty (30) seconds, but the officer does not tell the driver the length of the test. The driver is intoxicated if he cannot perform the test for the thirty (30) seconds. Interim signs of impairment during the test include swaying, using the arms to balance, hopping, and putting the foot down. A New Braunfels TX DWI lawyer can argue against a video that shows the client hopping or putting his foot on the ground. Perhaps the ground was uneven and a client who catches himself rather than falls is not really impaired. Wind is also a factor that can cause a person to lose balance and the video will often reflect the weather conditions. In our last blog entry, we began our discussion on effective San Antonio and greater Bexar County DWI defense strategy of the Walk and Turn (WAT). Normally, even the most sober of drivers will utilize their arms to maintain a semblance of balance when standing with one foot in front of the other , heel to toe, while turning to listen to an officer? It is not a normal starting position, and most officers will reply it is unusual and that some use of the arms is usually necessary to maintain balance. On the video, based on NHTSA guidelines, an officer will only do 3-4 steps and they usually reply that they are only trained to show three to four steps. Immediately, you can perk up the jury’s attention by pointing out that the officer did not perform the entire test as he had demanded of the driver on the date of arrest.